It has been over six months since Robin Williams passed away, much to the shock and grief of just about everyone — family, friends, and fans alike. Even more distressing was the way in which Williams passed away, via suicide, which gave the world a wakeup call about the fact that we can never truly know what is going on in the lives of our favorite celebrities. 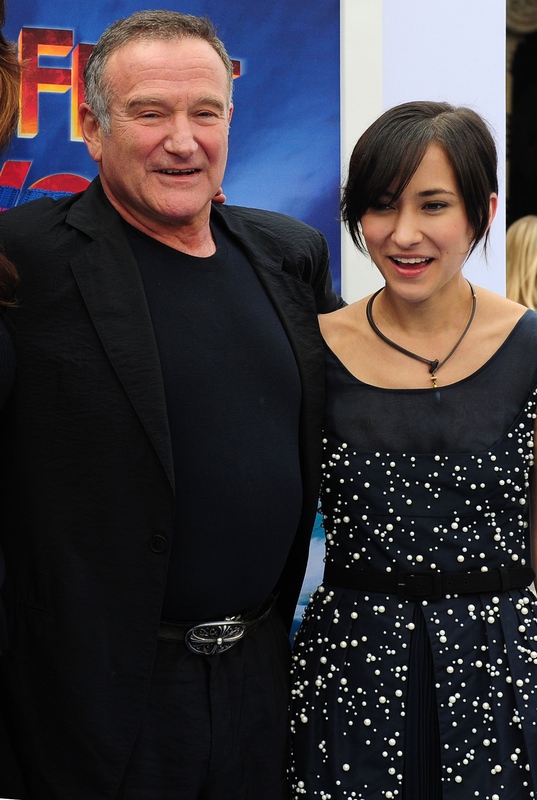 Of all of his children, Zelda Williams has been having the most visible tough time of it, such as when Zelda quit social media due to being harassed by online bullies. Now, it seems as though she has found a beautiful way in which to honor her father's memory and legacy, a way that helps her to heal as well. Zelda appeared on The TODAY Show to support Robin's charities — and an accompanying Instagram revealed how important it was for her to do do. The word important here is subjective, as the cause is important to Zeldaand raising awareness about it after her father's tragic passing even more so. The Challenged Athletes Foundation was a charity that Robin Williams supported during his lifetime, even, as Zelda explains, "[doing] the 44 mile bike leg of the CAF triathlon with Rudy and Scott from 1998 until his health no longer allowed him to do so in 2009." Now that's dedication. But Zelda refuses to let the Williams dedication to the charity die with him. A man's legacy is made just as much by the lives he touched as it is by the things he accomplished, especially simply in film and comedy. Robin Williams was a gift not only to the fans who watched him, but to the charities he supported, raised awareness of, and championed because they were causes that he believed him. For Zelda to step up and fill his shoes, to carry on that spirit of dedication that was such an integral part of her father's legacy, is truly inspiring. Not only is reassuring that Zelda has found positive action to be the best way in which to honor her father's memory and handle her own grief from the loss, the fact that she chose to do so publicly to raise awareness — something just as important as her own private support — is amazing. And the way in which she did it shows a maturity and humbleness that is even more inspiring. As she self-deprecatingly states, "While I'm in no way capable (at least not yet) of biking 44 miles, I will do everything else in my (decidedly less athletic) power to continue Dad's legacy and support the charities he loved that I've watched first hand change thousands of lives." After a powerful statement like that, I can't imagine that Robin Williams wouldn't thoroughly approve.